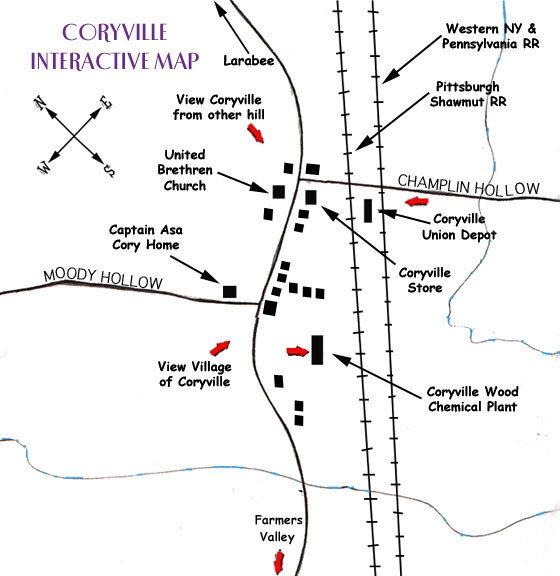 Frank Shick was rather familiar with the 2 important railroads that passed through Coryville. 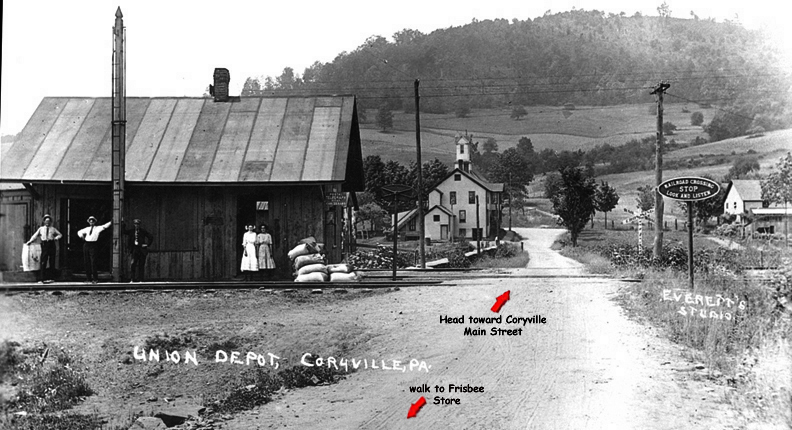 His working at the Coryville Store allowed him to get to know the Union Depot and its happenings. The trains used back then were steam engines, which was the only fast form of transportation. The Western New York and Pennsylvania Railroad ("Pennsy") was mainly a passenger train. The "Pennsy" also shipped coal, which was the Pittsburgh Shawmut Railroad's main function. Salesmen and men that ran around the country ("the tramps" is what they were nicknamed) would always come by train. They used to come to people's doors, knock, and ask for food to eat. Frank's mom fed them lots of times. The men would also stay at the railroad station (along with the Coryville Wood Chemical Plant) because it had a big coal stove to keep it warm at night. 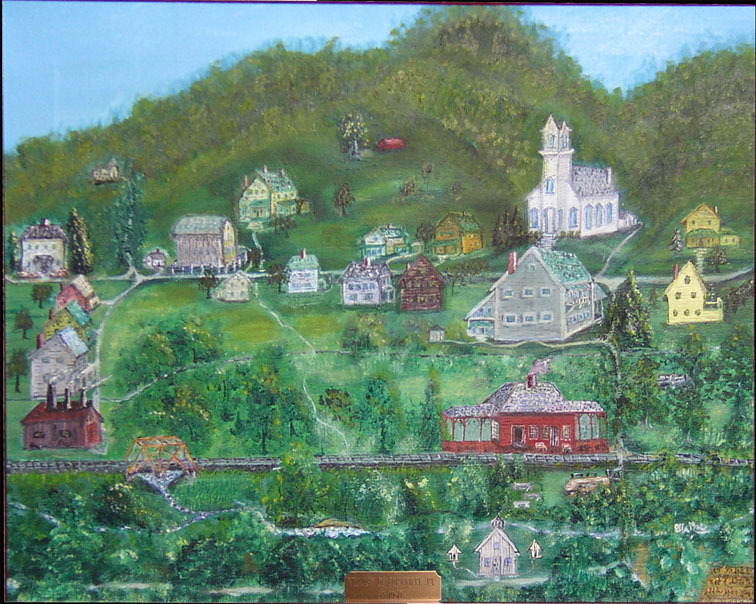 Frank had gotten to know the engineer pretty good and would always get free rides to Smethport. 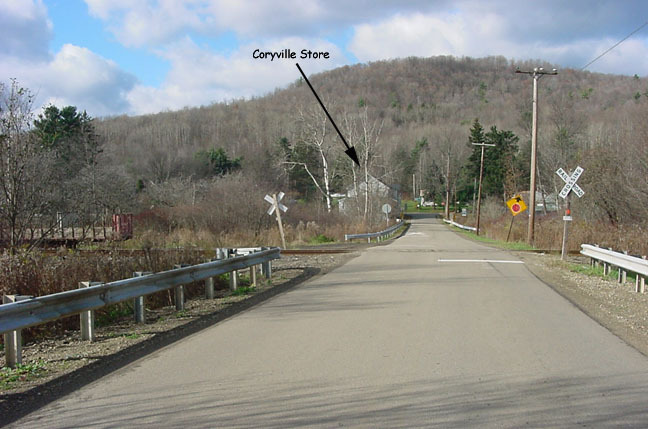 Frank remembered once when he tossed a mail bag onto the train car one day to ship the Coryville Post Office mail as the train went by, but the engineer started to slow down the engine. He noticed that he had thrown the bag right through a car door and it landed on the other side of the railroad tracks, causing the engineer to stop the train. The regular schedule for the engines was the "Pennsy" came at 9 a.m. every morning, he’d send the mail then, one would come at 11 a.m., and the "Hoodlebug" (a gasoline powered engine) would come at 5 p.m. everyday to bring Olean papers & Buffalo people.